Join us for the most comprehensive hands on and instructional course in the industry! This Hands On event will offer expertise training to meet the needs of any mini implant dentist. Whether you are new to mini implants, or and experienced user, we will cover both Basic and Advanced techniques. Find out why many successful dentists have already experienced a renewed enthusiasm for enhancing the quality of their patients’ lives, while increasing their practice revenues through providing mini implant treatment. This cost effective procedure is minimally invasive and easy to learn, allowing you to immediately offer patients results that commonly exceed expectations, and lead to future referrals and practice growth. Also learn valuable practice building strategies to communicate to patients, the availability and benefits of mini implant treatment in your practice. Mini Implants or Conventional Implants? Dr. Ian Erwood obtained an Honours Bachelor Degree of Science majoring in Biochemistry from the University of Toronto graduating on the Deans Honour Role. He then received his Doctor of Dental Surgery (DDS) from the University of Western Ontario. Dr. Erwood is an active member of the Canadian Dental Association, Ontario Dental Association, Royal College of Dental Surgeons of Ontario, York Region Dental Society, American Academy of Cosmetic Orthodontics, and obtained his Fellowship in the International Congress of Oral lmplantologists and the Academy of General Dentistry. He is current president of the Canadian Straight Wire Orthodontic Study Club and is past president of the Ontario Study Club of Osseointegration. 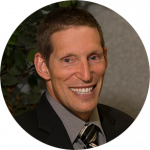 Dr. Erwood is a Preferred lnvisalign Provider and is qualified to administer l.V. Sedation. Dr. Erwood is a general dentist who presents dental lectures to dentists and their staff throughout North America to assist them in learning dental procedures and improving patient care. Dr. Ian Erwood has been enhancing the smiles for his Unionville and surrounding area patients for over 25 years.